and the official release of Curse of the Double Digits! She expects it to be magical. eBook or a signed paperback. Random drawings will be held through October 30th. (Sorry, paperbacks are only for the U.S. and Canada. to enter the giveaways on their sites, too. May your luck be better than poor Becky’s! Did you ever have a birthday party when you were a kid? How old were you? Did you play games? What’s the best birthday gift you ever received? This entry was posted in Uncategorized and tagged Curse of the Double Digits, Lynn Kelley, Maria Cisneros Toth, Robyn Campbell, tenth birthday. Bookmark the permalink. 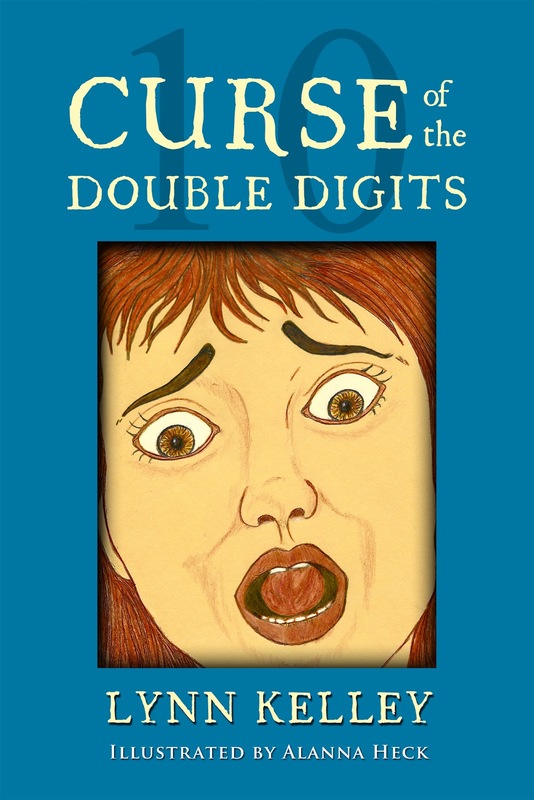 76 Responses to CURSE OF THE DOUBLE DIGITS – Launch Party! Congratulations Lynn! I'm VERY excited for you. All my best with your launch. Bish – Thank you for coming to celebrate with me! Congratulations,Lynn and Happy Birthday,Becky! So excited the book is a reality. Just read it (Kindle cover to Kindle cover) and can so relate to the domino effect of kid-hood mishaps! Once a friend and I had to be witches in a play, so we put green food coloring in base makeup. Worked great for the show…but we had to go to school with green-stained faces for a week!!! Congratulations, Lynn! Really an enjoyable read. 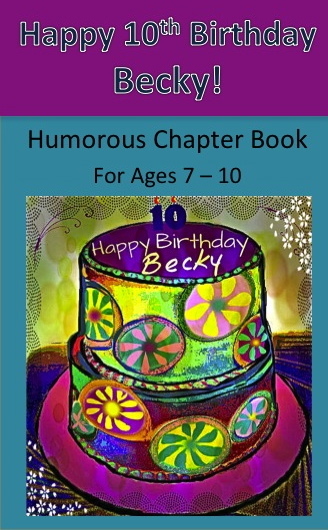 I loved the realistic choices and consequences Becky faced throughout the book. Fun! *happy dance* First in line at the bouncey house. Yip, yip, yippee! !Congrads Lynn! I love you and wish you the most happiness and success a person(or an offspring of a zebra or donkey) could have. Becky deserves it. HAPPY BIRTHDAY BECKY! Congratulations, Lynn! You've done a great job with this book; love the cover! Love the inside! This brings back all the wonderful/awful memories of growing up. Long live Becky! Congratulations- this is so exciting I wish you the best of luck!!! Congrats! What an awesome day for you! Diana – Thank you for coming to help me celebrate! Oh, yes, sharing birthdays with someone else who's birthday is close to yours or the same day! My hubby and his sister's birthdays are a day apart, too.Hobo Annie – Thank you for coming today and for buying the book. Glad you got a kick out of it. I'm so glad you shared this story about the green food coloring because that's hilarious!Mike – Thanks so much for sharing in my big day and for your support. You rock! Robyn – You're first in line for the bounce house! You're the best and I love you, lady! Becky says thanks for coming to her party!Susan – Thank you for helping me celebrate and for being the perfect example for other self-pubbers!Melissa – Awesome peep. You are a prime example of how to pay it forward. I appreciate all your help during the process of publishing my book. Thank you!Alicia – Thanks, fellow WANA! So glad you're here!Laura – Yay! I'm so happy you came to celebrate with Becky and me! Thank you! *throwing confetti*! I tweeted your party too! 🙂 We need to invent a computer that will hand you birthday cake. LOL! Congratulations on your new book, Lynn!!! Hope you have lots of fun at your launch party!!! And…Happy Birthday, Becky!!! Congratulations!! This is so cool!! Best of luck!! HAPPY BIRTHDAY BECKY!And congratulations Lynn!All your effort has paid off. This is a really perfect book for a young reader, especially those who feel that all they ever do is get into trouble. Happy birthday, Becky, and best of luck with this book, Lynn. It sounds awesome. I wish I knew a child to share it with. Mine are too old. Catherine – Thank you! So happy you're celebrating with me!Teresa – I saw your RT and sent a thank you, but Tweetdeck is giving me a hard time today! Yes, if we could send the cake through the computer, and all the other goodies! Thank you!Cynthia – Yay! Awesome that you're able to leave a comment. Thanks so much for coming. It means a lot to me!Mary Ann – Ah, see, perseverance pays off. You finally succeeded in leaving a comment. Now you have a feel of how this whole publishing journey has been for me! Trial & error the whole way! Wheeee! Thanks so much for coming to celebrate, cuz! Writingdoc – Thanks for sharing in this journey with me and for all your support. Yeehaw, I'l thrilled you're here to celebrate, especially with all you're dealing with! You rock, matey!Jennifer – How awesome that my new peep is here to celebrate this special day with Becky and me! Looking forward to getting to know you better. Thanks for coming! Lynn–Woohoo! *throws confetti* I thought I would duck my head out of the revision cave for a piece of virtual birthday cake!! CONGRATS!! Heather – Yahoo! I'm so jazzed to see you here, and thanks for the RT! I'm glad you're working hard on your revisions. You go, girl! I appreciate you coming to celebrate with us today! Congrats Lynn!We always had birthday parties (until I was 12) I don't think we played games though. And I have to say my best birthday present was my daughter! (she was born 5 days before my birthday! )And I prefer signed paperback! Nychaelle Fenske – I'd say a baby is the best birthday present ever, for sure! Thanks for letting me know which format you prefer. Good luck! Amy – Becky says thank you! Me, too! Thanks for coming to celebrate with us. Love you! I remember my 4th Birthday. It was a cowgirl party. We played lots of games and remember having a blast. Congrats on your new book, Lynn! I was there when you read your first draft and all of its revisions through the years, and I'm telling ya, it made me laugh out loud each time! When kids pick up your book, they're in for a real treat! Raising my glass of punch… Here's to more great writing & books! Cheers! Marcy – Thank you, WANA peep. So happy to have you here! Amy – Seems like your 4th birthday party was just yesterday! That was a fun party! Maria – You've been there through thick and thin. It's been an awesome journey, Zombud! Cheers to many more years of writing and celebrating and enjoying the ride! Congrats Lynn! This looks like such a fun book! Jennette – Thank you! So glad you stopped by. Cheers! So exciting, Lynn! Congratulations on the release of your Curse of the Double Digits! Maria – Thanks for sharing your childhood memories. You were an easy kid to please. Sounds like your 10th birthday was a great one!Michelle – Thanks so much for stopping by to celebrate. It's always great to see kids from the old neighborhood and all grown up now! Take care!Nas – I'm so happy to see you here at my book launch. Thank you for coming! Congratulations, Lynn! Big shout-out for you on Friday. And eBook of course. Congratulations!!! Great going! Party time! Alex – Woo hoo! Thank you for coming to celebrate! Double digit thanks for the shout-out on Friday. And thanks for letting me know you prefer and eBook!Stephanie – Awesome to have you here, PQW! Thank you! Sally – Thanks a million! Haha! Yes, pie and cake and ice cream, carne asada, and lots more! The cool thing about virtual cake is that you can eat you cake and have it, too…er, well, maybe not! This is so cool, Lynn! The book looks great! I wish you all the luck in the world!Print book with autograph, please! Carol – Thank you! I'm hoping my luck is better than Becky's! Haha! Thank you for coming to celebrate with me and also thanks for the wonderful review! Happy Birthday Becky and Congrats, Lynn. All the best success. Sharon – Thanks so much! Okay, got you down for preferring a paperback! Karla – Thank you for coming to celebrate with Becky and me! Wow wow wow ! LynCongratulations . Your book is so reasonable. I want to get it ! Munir – How wonderful to see you here. It's been a long time. Thank you! You made my celebration even more special!Theresa – Thank so much! So nice to have you here to help me celebrate! How exciting for you, Lynn. Congratulations on your launch day! Sheila – It's been super exciting! Thank you! A big CONGRATULATIONS on your launch day Lynn! So very exciting. Ann – Thank you so much! I'm so glad you came by to celebrate! Take care. Congrats!!!! I kept checking in on the party on my breaks and lunch. It looked like an awesome party!! So proud of you!!! congratulations on the release. It's always a special day for us. Sarah! How wonderful to have you here! I'm so glad you popped in on the party when you could. Good vote, Lola & Julian, for paperback. Got it! Hugs & kisses to them and to you, too!Louise – Thank you! Yes, it's truly been a special day. Nice to see you here! Wasn't able to check back with the party between classes. By now tha party should be winding down. Any virtual cake left? I'm a day late, so I'll help with the cleanup. ;)Congratulations, Lynn. I'm so excited for you and the great turnout for your launch!My 10th birthday was held outdoors since it was spring in the country, and a bunch of kids from school came to play games and eat cake. I don't remember another party like that one. It was great fun. Thomas – Thank you for stopping in to celebrate. You always liven up a party!Cynthia – Thank you for coming back! Yep, plenty of cake left. Here you go, girl! Have at it! This sounds like such a wonderful story!! Congrats, Lynn!!! Oh- and congratulations on your release! YEAH!!! Nice to meet you and congrats on your release! Haley – Yes, quite a party! You should have seen the mess! Thanks for stopping by to join us!Lynda – Thank you! So nice to see you here again!DMS – Jess – We had a roller skating party for one of my daughters one time and those are so much fun. I spent half my childhood roller skating, so of course I had to get out there with the kids, too! Horseback riding lessons sounds like an awesome gift, even if you didn't get a horse! Thanks for help us celebrate, Jess. C.M. – So nice to meet you, too. Thank you! I'm so glad you stopped by.Emily – Oh, thank you! So nice to see you here, my friend! Oh I am intrigued by your book. Congrats and good luck with the launch.My mum used to go to town on birthday parties with games and prizes. My most exciting present was my first gerbil.